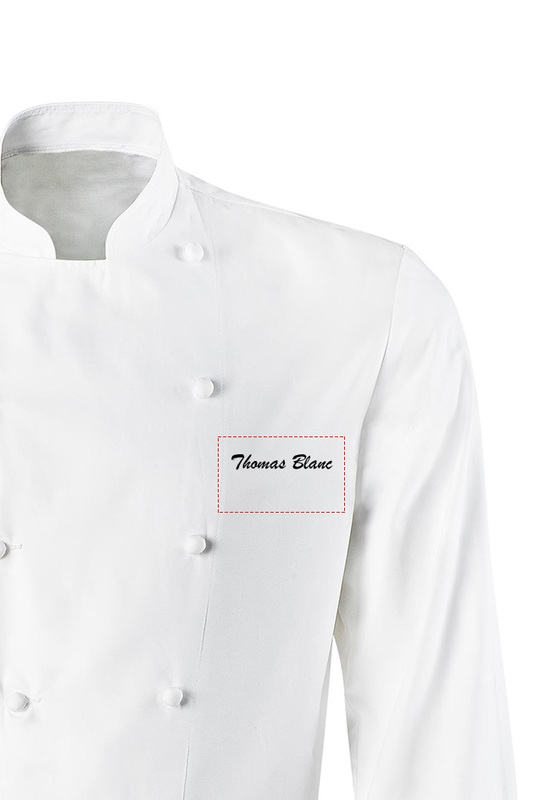 Female chef jacket. Orange trimming on internal collar base, button placket and turn-back cuffs. Press-stud fastening. Long sleeves with a thermometer pocket on the left sleeve. Turn-back cuffs, ending with a slit. Underarm vent eyelets. Front and back darts. Side slits. Registered design.